Tiger Lily Vertical Fitness & Dance is Geneva, IL's premier alternative fitness & dance studio specializing in pole dance and other delightfully unique fitness and dance classes! 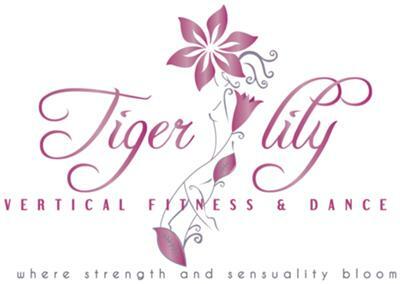 Tiger Lily Vertical Fitness & Dance was founded on the philosophy that all women possess a beautiful balance of inner strength and a natural sensuality regardless of size, shape, age, fitness level, background, or profession. Our goal is to help all women to discover and develop both their inner and outer strength while allowing their natural sensuality to thrive and grow wild! We offer a variety of pole dancing classes, chair dancing, StripTeaseMe! classes, Hot Body Boot Camp classes,TL Flexified! flexibility classes, pole parties, private and semi private lessons, and a variety of workshops throughout the year that you are bound to find one..or many, that you love! If you just aren’t sure, our intro classes are a fabulous way to try us out, but trust us, we’re pretty confident that you’ll become a Tiger Lily for life! At Tiger Lily, we take your safety and comfort seriously, so we have hand picked our instructors to be warm, enthusiastic, and professional. All of our instructors have a professional background in fitness and or dance. They maintain certifications in CPR, First Aid, AED and adhere to the guidelines of their profession as well as receive ongoing specialized training so you can be confident you are learning from the some of the best in the industry. Visit our website for Special Events and News Updates! Sign up for our email newsletter for Discounts and Specials!